← Women’s Champions Trophy Final: Argentina 1-0 Great Britain. The Top of the D’s Winter Survival Guide. 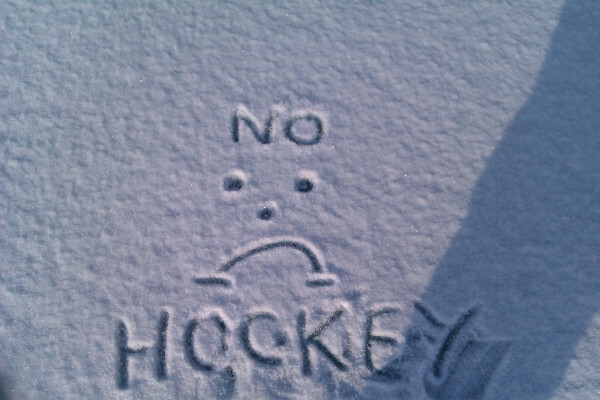 Since Christmas, the cold weather has made the English domestic hockey season grind to a halt. With hockey players up and down the country kicking their heels in frustration at a lack of action, The Top of the D brings you a guide on how to survive without your weekly game. 1. Find an alternative hobby. As unthinkable as it might be, there are other things you can occupy your time with. Some suggestions include skiing, flower arranging, shopping, dancing, model making, watching other sports and talking to your other half. Yes, even the last one. Not that the average club hockey player needs much encouragement to do this, but a good old fashioned all day session is a very worthwhile use of a day. It’s strange to be in a pub with “normal” non hockey people on a Saturday, but not in a bad way. It’s also a good chance to play lesser used, longer drinking games such as Peanut Racing or Ring of Fire. As a change of pace from point 2 you could be a model professional and put in some time in the gym. Some strength and conditioning work, some hard cardio, whatever takes your fancy. Live like a pro, play like a pro. 4. Work out some new and inventive short corner routines. You might not be out on the pitch, but you can still think about and plan some innovative and elaborate routines. Like this one. They all have to come from somewhere, right? Sure, you all think you know the rules when you’re complaining to the umpires, but if you’re totally honest, you don’t. Why not use the extra time to read over them so that the next time you’re debating a decision you actually have a chance of being right*? The umpires still won’t change their minds, though. 6. Read some excellent blog articles, like the ones on this site. Oh come on. There’s nothing wrong with a bit of self-promotion, however shameless. Plenty of players use some of the same kit for training as they do for Saturday games, often without washing it. No Saturday games means no excuses: You now have time to ensure your kit is fresh and fragrant, and not just covered in Febreze. A personal favourite, the EHL website has highlights of pretty much every Euro Hockey League game ever played. Also, Galvanised Media have plenty of footage to keep you going. A feast of fantastic hockey action to keep you amused. So there you have it. Obviously we don’t want the cold weather to prevent any more hockey from taking place, but if it does, you should now be adequately prepared to fill your time with something else. If you have any suggestions which have been missed out of the above list, let us know, either in the comments section below or by tweeting us: @TheTopoftheD, as always, we’d love to hear from you. 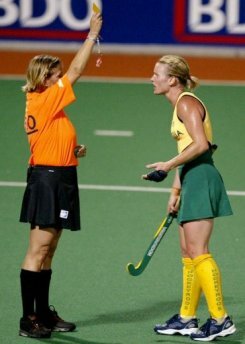 *TheTopoftheD.com does not condone arguing with the umpires, we just know that people do it.